How Data Compare Can Help DBAs and Developers? 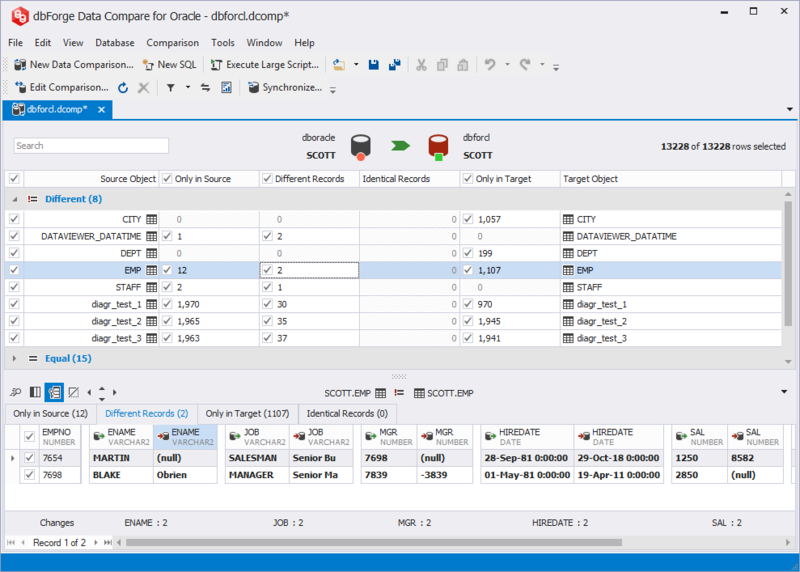 Devart offers Schema Compare for Oracle and Data Compare for Oracle in one package dbForge Compare Bundle for Oracle. Save hours of work comparing and deploying Oracle databases – buy dbForge Compare Bundle for Oracle now and double your success! Thank You so much... Your company and support have been fantastic. I think the product is excellent and I use it daily.. Send us a link to your Oracle ACE profile, and get a free license on the product. Get 50% OFF for switching to dbForge for Oracle tools from competing tools!